It’s officially spring! Flowers have begun blooming, the birds are chirping, and it’s primetime for spring homebuying, too! If you’ve waited all winter to start shopping for your next home, you’re in luck because there’s plenty of inventory. However, this season of homebuying also comes with its cons, like more competition and inflated prices, just to name a few. Here are some pros and cons of spring homebuying. More homes mean more competition. With spring homebuying comes a flood of options, which can be great when inventory is more sparse during other seasons. However, you’ll want to make sure you have a game plan to stick to your budget and priorities when it comes to the home you ultimately have your eyes on. Having a game plan will help you to not become overwhelmed during this season since there will be more competition, and you’ll have to make decisions more quickly. Speaking of making decisions more quickly, you don’t want to go into this spring homebuying season haphazardly. Make sure that you get preapproved through your lender prior to starting the home shopping process. Not only is this beneficial for you to stay within a budget, but this also creates a peace of mind for the sellers to know you’re not being flippant with your offer. Bidding wars are more common. Since spring is the most popular time to shop for a home, more buyers and competition will also lead to more bidding wars than other slower seasons. Since bidding wars are more common, you have to be ready to use more strategy when bidding on homes. You want your offer that will stand out so that the sellers won’t be able to refuse it (even if a bidding war does ensue). You might consider offering all-cash or even a longer or shorter closing period depending on the sellers’ needs. And a good old-fashioned handwritten letter to the sellers is another good strategy to play during this season. You can look forward to open houses and good weather. 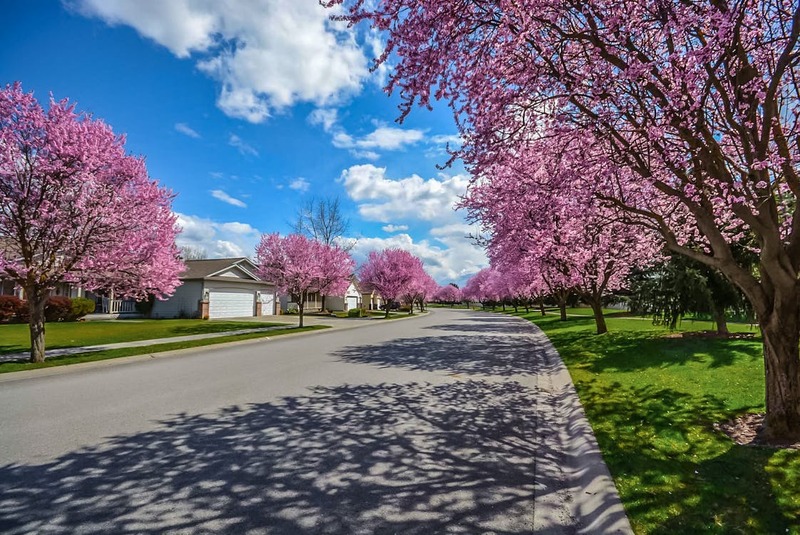 One of the best things about homebuying this season is being able to see homes in their prime as the surrounding trees and flowers are coming into bloom. With nicer weather, this not only allows you to travel easier from one open house to another (no more snow, hopefully! ), but you can also enjoy a nice stroll in the neighborhoods to really do your homework and see if the general area is a good fit for you.